Stephen Priest, a former Santa Fe employee and editor for the National Model Railroad Association and of Railroad Model Craftsman. 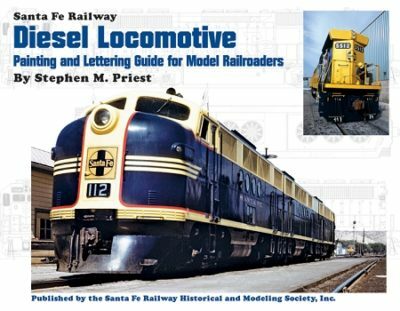 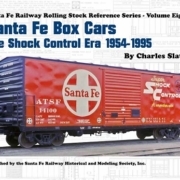 This 240-page book provides an in-depth look at the humble beginnings, development, and modifications to the many paint schemes worn by Santa Fe’s diesel fleet, ranging from the first locomotives delivered in 1934 to the last SD75M to arrive on the property in 1995. 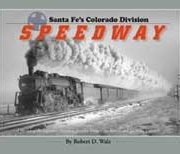 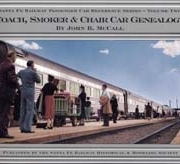 This book features many never-before-published images covering most types of Santa Fe motive power. 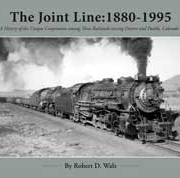 Included are 274 color and 80 black and white photographs, 76 renderings, three painting timelines, and image and drawing indices.